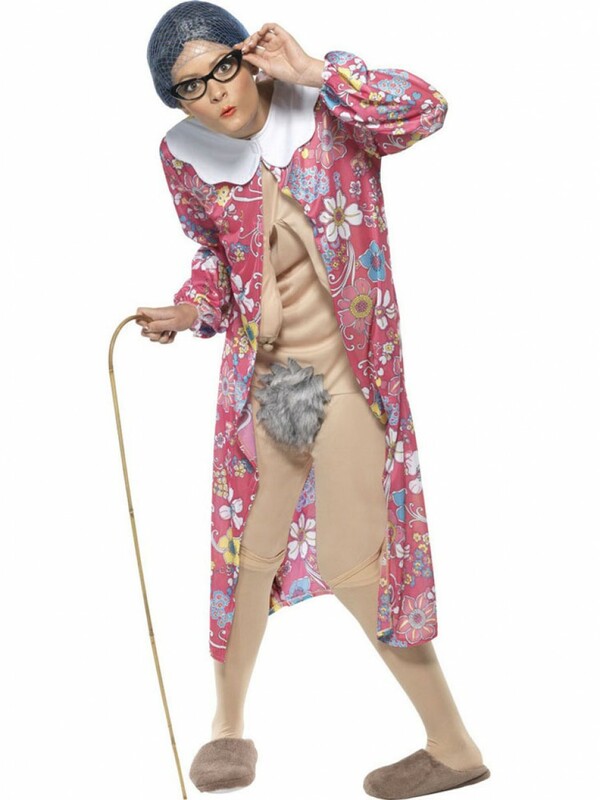 A twist on the classic elderly outfit, this Funny Granny Costume including Dressing Gown and Bodysuit, making it ideal for any Comedy/Rude themed fancy dress occasion! 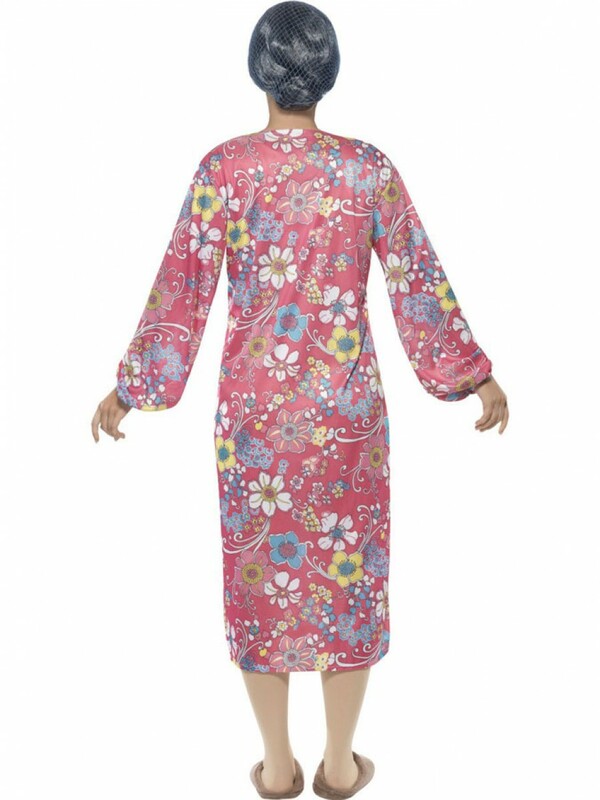 A rude fancy dress option for anyone wanting to pull out all the stops, this Funny Granny Costume is an excellent option for Comedy/Rude/Stag Do themed occasions. This costume includes Dressing Gown and Bodysuit. The pink floral dressing gown almost goes right down to the floor; the vibrant print makes this part of the outfit look very typical of an elderly person. The dressing gown is in a soft shiny material and has coloured flowers all over it. In addition to the dressing gown, the talking point of this Funny Granny Costume is the bodysuit. The bodysuit is in a pale skin-coloured design, with a pair of sagging padded breasts for comedic effect and a fluffy area ‘down below’ completing this hilarious ‘gravity’ granny outfit. A great Funny Granny Costume for any Comedy/Stag Do fancy dress occasion! Funny Granny Costume including Dressing Gown and Bodysuit.